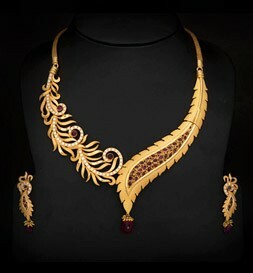 Want to Sell Gold Necklace in Chula Vista? You have come to the right place.At the Chula Vista Jewelry Exchange we are gold necklaces buyers in San Diego. Just come in, bring your gold necklace and we will give you a quote on the spot and if you decide to sell we will pay you cash on the spot. Don’t waste your time in going to places that will try to rip you off. We are ethical professionals that will evaluate and weigh your gold. This way you will eliminate unnecessary stress and receive fast service that will guarantee you great satisfaction. Fast service, friendly staff, no hassle, no waiting. All over San Diego at our Chula Vista location we want you to chose the best place to sell your unwanted items. We need a valid picture ID (government issued ID such as Driver’s License, Passport, Military ID, etc.) with each transaction. Don’t be deceived by going to places that will not care of your economic problems and come to us so we give you an accurate evaluation. Many times we make the mistake of not receiving the best payout possible, for that reason we are here to assist you and make new connections.